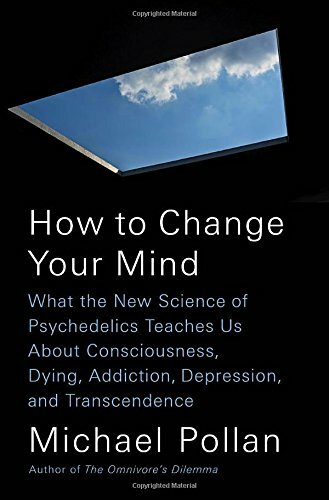 When Michael Pollan set out to research how LSD and psilocybin (the active ingredient in magic mushrooms) are being used to provide relief to people suffering from difficult-to-treat conditions such as depression, addiction and anxiety, he did not intend to write what is undoubtedly his most personal book. But upon discovering how these remarkable substances are improving the lives not only of the mentally ill but also of healthy people coming to grips with the challenges of everyday life, he decided to explore the landscape of the mind in the first person as well as the third. Thus began a singular adventure into the experience of various altered states of consciousness, along with a dive deep into both the latest brain science and the thriving underground community of psychedelic therapists. Pollan sifts the historical record to separate the truth about these mysterious drugs from the myths that have surrounded them since the Sixties, when a handful of psychedelic evangelists catalyzed a powerful backlash against what was then a promising field of research. A unique and elegant blend of science, memoir, travel writing, history, and medicine, How to Change Your Mind is a triumph of participatory journalism. By turns dazzling and edifying, it is the gripping account of a journey to an exciting and unexpected new frontier in our understanding of the mind, the self, and our place in the world. The true subject of Pollan's "mental travelogue" is not just psychedelic drugs, but the eternal puzzle of human consciousness and how, in a world that offers us both struggle and beauty, we can do our best to be fully present and find meaning in our lives. bennettgavrish (Grade: B–) Pollan has enough material on psychedelics to fill a textbook, and parts of this project feel like exactly that. His conscientious journalistic approach goes deep into the history and science of these drugs while weaving in a set of his own experiences. For certain the reader leaves more knowledgeable and more intrigued, though perhaps not especially inspired. In the aftermath of his mystical trips, Pollan still writes like a grounded agnostic, arguing for scientific change, not cultural.